SHOP HOURS: Monday - Friday: 10-7, Saturday: 10-4. We're doing it again! It's time to clean out the back of your truck and garage for all that fly gear you're not using anymore. Your stuff wants to be happy and fulfill its destiny. It doesn't want to sit in your dark basement. Let it go to a good home where it will be loved. And use that money to buy MORE STUFF. 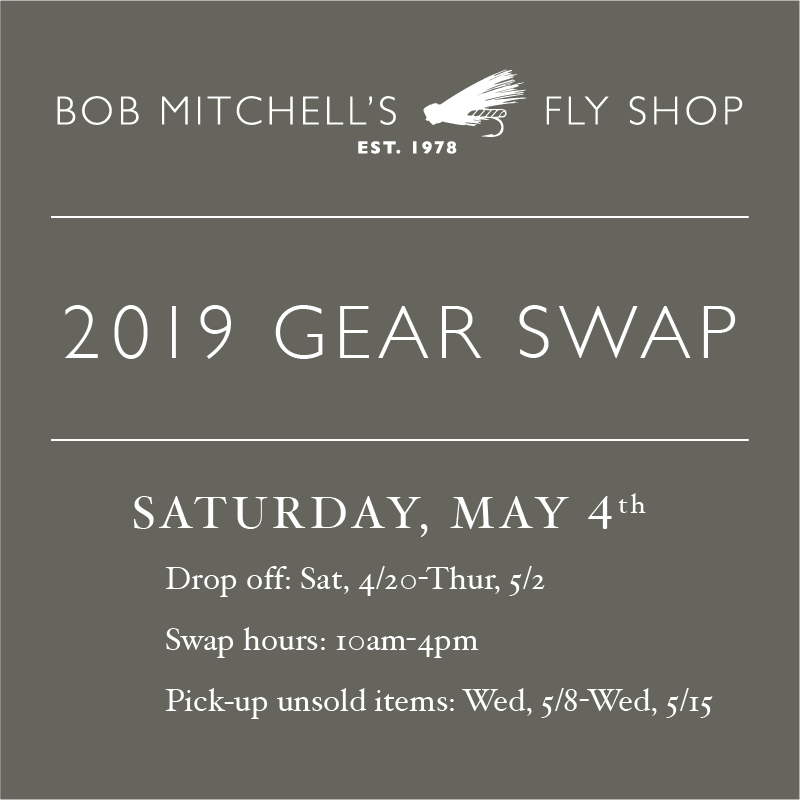 Details are the same as last year: In the weeks before the swap, drop off your gear. Then get here early on the 4th to get the best deals. Last year stuff went fast! If your items sell you have two options. You can get 100% of the sale price back in store credit, or you can opt for cash back and we'll give you 80% of the sale price. If your item doesn't sell, please plan on picking it up before 5/15. All unclaimed items at that point will be donated. We will not be holding any gear past that date.